Are you interested in nurturing young talent for a future in agricultural development? By donating funds to support young scientists and students to attend the Crawford Fund Annual Conference and Scholar Program, you can help shape their future in Australian agriculture and international development. You may prefer to nominate and donate to support a young Australian you would like to see benefit from the scholarship and conference experience. Donations are tax deductible, and support is acknowledged. 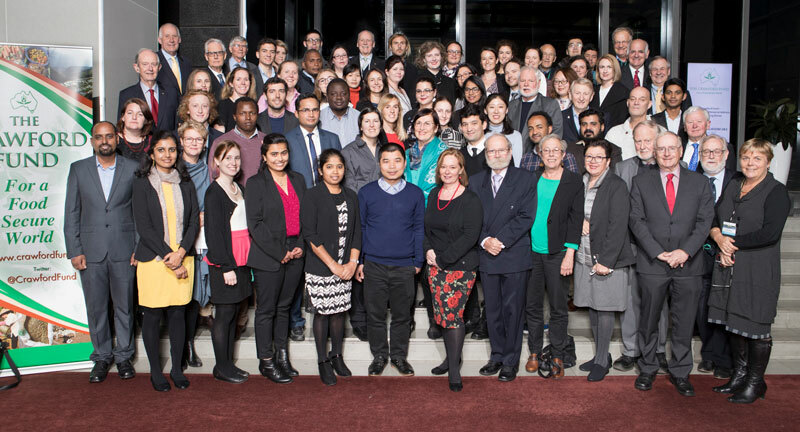 The Crawford Fund Scholar Program is one of the foundations of our efforts to encourage young Australians in international research, development and education for the benefit of both developing countries and Australia. 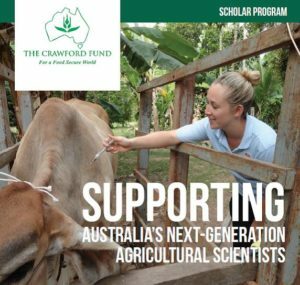 Scholarships to attend the Crawford Fund Annual Conference and our special Scholar Program are awarded to young students and scientists who have a genuine interest in international agricultural research and development. The scholar activities around the conference include personal discussions with inspiring international speakers from the conference providing career advice and the matching of personal mentors for the duration of the conference and, depending on those involved, well into the future. The fun and informative activities are developed in partnership with young and ‘old’ agricultural scientists and Researchers in Agriculture for International Development (RAID), a network hosted by the Fund which is working to connect, engage and support agricultural researchers working in international development. This year, the title of our annual conference is “Reshaping Agriculture for Better Nutrition – The Agriculture, Food, Nutrition, Health Nexus”, and it will be held in Canberra on 13 and 14 August. Currently there are still 815 million people chronically undernourished. Simultaneously, the number of obese people has reached approximately 1 billion. It will be of interest to young students and researchers across a broad range of interests including agriculture, health, nutrition, economics, environmental science, international development, and social sciences. Read our Scholar Booklet for background on the program, the list of 223 alumni and some of the scholars’ experiences. You can also hear some past scholars being interviewed for this publication on our YouTube channel. The positive feedback we received from last year’s Scholars is available here. If you would like to support the program in 2018, please contact Cathy Reade, Director of Outreach, via email (cathy.reade@crawfordfund.org) or by calling 0413 575 934. Our State Committees will once again be supporting young Australians to attend our conference and scholar activities. We will also be approaching companies, universities and others active in agriculture, in nutrition and health, and in international development to seek their support for this fantastic and rewarding experience. Students can apply for the Crawford Fund supported conference scholarships when our competitive process opens in June.